It was such a great experience working with Slava and International Strings! These guys are top-notch professionals, attentive to details and quick to respond to our emails and calls. On the wedding day the ceremony music was just perfection and then they really spiced things up for the cocktail hour with their exciting mix of styles. Lots of finger snapping and toe-tapping from the guests - just what we were looking for. Hire these guys, you won't regret it! I wanted to thank you so much for playing at our wedding. You all did such a wonderful job. The music was beautiful and exactly what we had envisioned for our special day. I will keep your contact information for any future events we may have. International Strings provided the music for my daughter’s wedding and for part of the reception. They were wonderful. The processional music was lovely. My daughter wanted a special song accompanied with my niece’s singing the vocals for her first dance with her husband and they were able to coordinate it beautifully, demonstrating flexibility and professionalism. I recommend them highly. Excellent. Our guests loved them. The room was not huge and the musicians played just at the right volume. Thanks so much! 2nd year we have had International Strings for our Holiday Party and they were wonderful. Everyone commented on how great the music was. See you next year! The International Strings played for my December wedding and they were AMAZING! Slava, the manager, was very easy to get ahold of and flexible. We changed our mind multiple times and even asked to add another musician last minute, which he was able to accommodate. They played for our ceremony and then packed up their instruments and relocated to the cocktail hour, which was just a short walk across the street but it was snowing! They are a talented group of people and have a long list of songs to choose from which they play so well! We received SO many complements on them! Highly recommend! I want to take this opportunity to tell you that the musicians were simply sensational last night. The venue for my birthday party is a rather intimate space and so the musicians were an integral part of the evening. There were times when I just wanted to listen to them and forget about my role as host for the Party. My guests could not stop commenting on how wonderful the music was. I believe music is a key component of putting together an evening like this and they truly exceeded my expectations. The variety of the song selections, the incredible musicianship and their accompanying my friend, Cecil, on What a Wonderful World, just brought the house down. International Strings was absolutely amazing at my engagement party in NYC. There were talented and professional. Moreover, it was a breeze working with Slava to coordinate everything! I highly recommend them! Highly recommend International Strings. Slava is very professional, prompt to return calls and made song recommendations for my son and daughter in law's wedding ceremony at The Old South Meeting House in Boston. Beautiful music was played prior to the ceremony. The guests are still raving about how wonderful the musicians were prior, during and after the ceremony. I hope to have another occasion real soon to use the International Strings musicians. Book them, you will love them. They are truly the best musicians you will find. My company has booked International Strings three times for corporate events and hoping to book them a third time. They are very pleasant to work with and put on a great performance. Right from our first event with them people literally stayed longer than any of our events prior just to listen and watch them play. I would highly recommend them, very appropriate for corporate events. Wow! 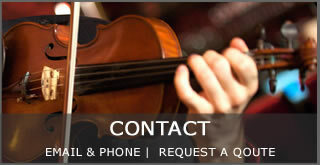 Professional, on-time, great musicians and very friendly. Would recommend them anytime. International Strings played for our wedding. Without having seen our ceremony we were able to communicate enough that they played the music exactly to the length we needed for the procession and it ended perfectly with me (the bride) just getting to my spot at the front. Throughout the night they played the perfect music for each phase--cocktail hour, dinner, and dancing with an exciting piece that got all of us up and dancing to close down the night. We had compliments from so many guests on how wonderful the musicians were. Truly a professional and fun group! You guys were the hit of the party - got everyone off to an awesome start! Thanks for working with me and being flexible - but most of all for making those Greek songs so genuine and believable! You guys are the best! These musicians were great. They met all of our expectations and I would recommend International Strings to anyone wanting to take their event from ordinary to elegant. We hired International Strings for my husband's parents 90th birthday party. They came on time, professionally dressed, and played wonderfully. We would absolutely hire them again . We had a wonderful Wedding Ceremony because of the beautiful music the violinist played for us. He was on time, professional, and an experienced performer. 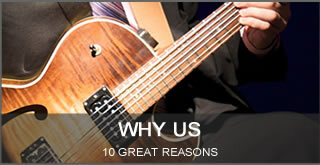 We would highly recommend International Strings to anyone for special occasions. The musicians were professional and very talented. A number of people in my group commented how much they enjoyed the International Strings and how much they added to our event. I would recommend them without reservation. Our musicians were remarkable in every way. They arrived early, practiced with a vocalist who was a member of the wedding party, set up and played in the chapel, then quickly and discreetly relocated to the reception and dining area and resumed playing. They added two songs that we requested which were not on their playlist and performed them flawlessly. We asked to add a cellist and the group played as though they had been together forever. We cannot sing their praises high enough. Thank you International Strings. You made it a beautiful event we will all remember. Thank you so much, International Strings made our holiday party. Everyone loved the music and I've already been letting people know that I recommend Gigmasters for all parties. Looking forward to next year. This quartet is clearly a group of talented group of musicians whose musical selections are best geared toward true music enthusiasts. The band was excellent with communication prior to our wedding, they arrived promptly and played with great energy throughout our event. All three were truly talented. They began early and played more recent and upbeat songs. All of our guests were quite impressed and so were we. International Strings gave out a very sophisticated impression which was exactly what we were trying to achieve. They played beautifully, were engaging and energetic. We would certainly hire them again for any future events we have. We wanted to say thank you to your whole group for such a great performance last night! The Ritz said that International Strings was one of the best bands they have had at their venue! Many of the attendees were overheard talking about how great the band was as well. Thank you so much for providing awesome entertainment, and we will definitely keep you in mind for future events. Gorgeous arrangements on the music. Prompt, professional players. HIGHLY RECOMMEND this group for your wedding! Amazing performance! Such a high level of professionalism and overall musicianship - we couldn't be happier. Int'l Strings provided music for our ceremony and cocktail hour. Their playing, how they looked, communicated with us and the venue coordinators - everything was perfect. Our ocean themed wedding took place in Ipswich, MA. Having this outstanding group of musicians was the highlight of the night! Excellent, excellent, excellent! The band members were very easy to interact with and the music they played was so beautiful. All my guests enjoyed it. Thank you. The musicians were excellent and so accommodating. Their music made our evening so very special. Our guests raved about the music selections and the musicians' talent. On a scale of 1-5 they were a 10! Highly recommend! Thank you, International Strings, for making our event so very lovely. The string music for the ceremony and cocktail hour was something that was very important to us at our wedding. Slava was extremely easy to communicate with and always responded almost immediately. The whole process was very simple and the quick response time made me confident in my choice to hire these musicians. Our guests raved about the music, especially the contemporary covers they played during the cocktail hour. I only wish we hadn't spent so much time taking pictures so that we could have heard more of the music ourselves!! A huge thank you to International Strings for being a part of our special day!! The musicians arrived to the event early, they were very professional and dressed as we requested, they started on time and played throughout our event without a hitch. The music was phenomenal and we all agreed we would just love to keep them here to play for us full-time;-) It was an outdoor event and to have their beautiful tunes wafting out over the lake was such an added benefit to a wonderful evening. We couldn't be happier with every aspect of our choice of International Strings!! Thank you all!! They were absolutely fantastic. My guests were dignitaries and everyone raved about the music. International Strings has a talent for many different styles of music and play them all with excellence. They are truly gifted. The International Strings were amazing. Our venue was The Harvard Museum of Natural History Museum and they didn't allow dancing so we had to be creative with our entertainment. Slava Tolstoy and The International Strings set a beautiful upbeat tone with many styles of music. Our guests were thrilled. We were thrilled. They helped make our daughters wedding a fun and elegant affair. They were more than we hoped for. From the moment I found this amazing group online I knew - they will make my wedding so special with their music! They were very attentive to my requests - I had asked to prepare 3 specific songs that weren’t on their list and they performed them so well, as if they’ve been playing them forever! The performance was out of this world, I keep hearing from my friends how much they loved the music. From the bottom of my heart – thank you Slava and International Strings team for sharing your talents with us! Slava and the International Strings did an outstanding job on our big day. Communication process was easy, we were offered so many songs to choose from. On the day of the wedding the trio arrived early, looked great, and played beautifully. I would highly recommend them! Two separate events a rehearsal dinner as well is the cocktail party after the wedding ceremony the second day. Showed up early were ready to go when the guests arrived, everybody loved the music, they were very professional, top-notch. I highly recommend them for your event. They did a great job. Played the exact genre of music we were looking for (mid 40's jazz) and was perfect background music. Event was for 850 ppl in a ballroom. We had a great experience with International Strings. This was our second time booking them because we like them so much. International Strings did a great job at our wedding ceremony and cocktail hour. They were very easy to work with, and everything that they played sounded great! I'm so glad that we hired them and I couldn't have been happier with how well they did. I would love to hire them again for another event when I have more time to enjoy the music myself!! The manager was very professional in his dealings with me and the wedding coordinator. Extremely satisfied and recommend this group highly. Wow, what a great performance! We hired International Strings for our rehearsal dinner and they went above and beyond our expectations. They even leaned few of our favorite songs on such a short notice. All of our guests keep raving about the band and I am recommending them to everybody. Thank you so much for making it happen and for your wonderful music! Not only would I recommend them, several people at our wedding reception are going to use them for other events. I made a time line of specific songs for the wedding ceremony and they stayed right on cue without interruption. people at the wedding thought it was choreographed and rehearsed because it flowed so perfectly. Fact is, they were so good at their craft they transitioned the music to flow with us. By the way, there was no rehearsal. if you don't see your special song on their list, just ask. Ours was Unchained Melody and there wasn't a dry eye in the place.. So yes, by all means if you want Stunning music book them; you will not be disappointed. Easy to book, quick and simple communications. Effortless. Thanks ever so much! International Strings were terrific in every way. They arrived on time, were professional and most importantly sounded great. They even learned a new song for us that wasn't on their list! I highly recommend them. Slava was very easy to work with and very patient and accommodating. The music was amazing and everyone raved about their talent and song selections. They played our ceremony and cocktail hour, they are such a talented group and I'd definitely recommend them to anyone!!! They were amazing. The quality and variety of music was excellent. They were polite, early, and very professional. I would highly recommend them. The music was perfection. Many guests specifically mentioned how much they enjoyed the very talented musicians. Thank you, International Strings! International Strings exceeded my expectations and our guests couldn't stop raving about their talent! Their repertoire is astonishing as they seamlessly flow through all of musical genres and generations. We loved how they set the mood for all parts of the night. So happy to have found these incredible musicians who created such a wonderful ambience for our most special day. My husband and have to share this with all who are thinking of using Int. 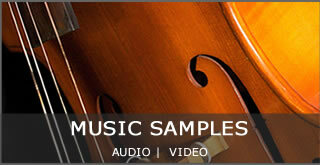 Strings - we were extremely picky searching for a string trio for our wedding. They went above and beyond to play songs that they didn't normally play. (when other groups flat out said NO) The quality of their musicians couldn't have been any better! They sounded incredible and were very professional. We were so happy to have found and chose them! We recently had International Strings perform during our wedding ceremony and cocktail hour and everyone loved their music. We are especially grateful for this special romantic feature in our wedding. They were very accommodating and easy to work with. Dear International Strings! You did such a great job! Thank you very much for your help with entertaining our guests at the wedding. We all enjoyed your playing. We had an outdoor wedding event that required two location set-ups. Slava and his group executed the location and musical changes with ease. We received many comments from our guests on the quality of the music. Indeed the band has such a large playlist the bride and groom were able to choose a style of music for each location, in addition to specific songs. The atmosphere that live musicians create cannot be equaled by any other means! The International Strings were perfect! I received a lot of feedback from the guests commenting on the bands talent. I have a lot of musical and artistic family and friends who are critics... everyone loved them :) They were on time, dressed as discussed and well rehearsed. I would recommend them to anyone. Professional, Timely and Amazing!!! I would highly recommend them as there was not much coordination needed and they did an amazing job. Slava, the coordinator, was responsive and everything went smoothly. I would highly recommend them to anyone! Thank you so much, International Strings for playing our ceremony and cocktail hour on Friday! You guys were great and everyone loved the music! I was overjoyed with their performance. They showed up early and were very accommodating. The event was a success and I plan on doing it again next year. They were amazing and so easy to work with. The performance during ceremony and cocktail hour at my wedding was perfect. I highly recommend International Strings! We used International Strings for our International Senior Reception at Wellesley College. They were easy to deal with, incredibly professional, and best of all - extremely talented musicians! Slava was great coordinating the details before the event. They arrived on time and played throughout the duration of the event, including towards the end when most guests had left. Their music was the perfect accompaniment for our reception - a mix of soothing world music. I would, without hesitation, recommend booking them for any event you may be hosting. I will definitely be working with them again in the future. Thanks guys! They were great. Wonderful music, professionally attired, arrived early. We highly recommend them. Dear International Strings, I hope it was obvious from everyone at yesterday's event that we very much appreciated your music and talent. My parents were so pleased with your performance, they could not stop telling me! They said it could not have been any more perfect! I will speak of you often to all my friends and various organizations that I come in contact with. I wanted to say THANK YOU for such a wonderful performance. You are amazing musicians. I recommended your trio to a lot of my friends. International Strings were a pleasure to work with. They are an incredibly talented group and I would recommend them to anyone and everyone. Our guests were blown away by them and our wedding would not have been the same without them! We wanted thank the International Strings for making our day truly special and beautiful! Bravo! The music set the tone for the most memorable day of our lives and our guests loved every moment. Walking down the aisle to the most sweeping romantic music... It was all a lovely dream! We thank you once again! Slava and his violinist were both exceptional musicians. Our staff is still talking about how great the music was at this year's holiday dessert social for employees. Definitely would recommend for any size group or event. Our event had approximately 3,000 employees over the 3 hour event period. The trio was fantastic in every way. They were there early with plenty of time to set up and warm up, sounded great, and were very personable. I would absolutely recommend them to anyone looking for this style of music. The International Strings played for the ceremony and cocktail hour of my wedding in Philadelphia, PA. They arranged some special requests for the ceremony and were very accommodating. They brought their own equipment and offered a large variety of music. They also allowed us to hand-select their set-list for our event. Everyone enjoyed the music and I would highly highly reccomend this group for any event. The group was great. It was perfect music for our cocktail hour. Thank you. They were awesome! I loved the fact that they were able to play a variety of songs and genres during the cocktail hour. We had only had a conversation with Slava by phone and had never met the trio in person so we didn't know what to expect but they were excellent. In addition to their unbelievable talent, they were on time, flexible, and professional. Thank you, International String Trio, for enhancing the ceremony and cocktail hour with your beautiful music. These guys were amazing I would highly recommend them! We are so glad that we found International Strings on GigMasters!! We had an intimate wedding on Nantucket, MA and Slava was a open to travel to the island for the day with his partner (violinist) to play during our wedding ceremony, cocktail hour and dinner reception. We loved their pop music which they were able to incorporate this into the reception music list. They sounded wonderful during the entire event. They were timely and flexible. They even played a special request that a family member sang to for our first dance!! I highly recommend International String Trio for your next event! Just wanted to reach out and tell you how wonderfully you played at my daughter's wedding this past Saturday. We will definitely be recommending your services and fell free to use me as a reference. I would echo all the positive comments about Int'l Strings I read when I booked them for our wedding. They were professional, curteous, etc - I've gotten great feedback from guests. Perhaps more importantly, my husband surprised me with what was basically a Flashmob during dinner - he secretly sent the lyrics to "Let My Love Open the Door" to every guest at the wedding. For the surprise, the Trio had to enter the building quietly and secretly. They also needed to learn the song, which they did. It was FABULOUS!! What an indescribable feeling to have 75 people standing up and singingto me, with a fabulous string trio to back them up! I highly recommend them. The best. I was very pleased and I was delighted that so many of the guest also were impressed with the trio. I would recommend the International Strings for any gathering. On such a hectic day for my sister, it was nice to know that the music was not a problem. Music lovers will enjoy the quality and talent of the musicians. Hello Slava, I just wanted to take a moment and thank you for yesterday. The professionalism of you and your team made everything run smoothly! I really appreciate that! Thank you again, and I hope we work together again! Slava and the band were great to work with! Everyone loved their music and I received so many compliments by the end of the night. Being from Texas, they were just the band we needed to give off not only a Boston feel, but a wide variety of sounds as well. Highly recommend them! International Strings was amazing. They showed up early to our event, played beautifully for an hour and then played the Game of Thrones theme show song. They were all around great. I'd recommend them to anyone! Could not have asked for a better group for the event! International Strings performed at our wedding on May 26 of 2012 and I know we have made the perfect choice by inviting them. The guys were very professional, accomodating and respectful. They arrived early to set up, were very attentive to our requests and overall did a perfect job. Their music was amazing and many of our guests have commented on how wonderful the Strings were. Thank you!!! .....a group of talented people arrived and played as requested. I only heard compliments from guests. Hi Slava! I just wanted to write to thank you for making our party on St. Patrick's Day spectacular! The music was so fun, festive, and beautifully performed. We truly appreciated not only the music, but the friendly, polite, and professional demeanor of your trio. We couldn't have asked for more. You will be hearing from us for all of our future events... any time we want to make a get-together something truly special. Thanks again!! Did a great job, showed up on time, nice music. Thanks! I thought they were fabulous! Elegant, professional, charming, talented - couldn't ask for a better group of musicians. Thanks very much. I was impressed by the group's professionalism, selection of pieces, and musicianship. Many of the guests at our wedding raved about them, too! Would highly recommend them to others! This group was a pleasure to work with and we were extremely satisfied with their overall performance for our wedding and reception. They learned a new song for our wedding and played it just perfectly! They were professional in every way. They provided the perfect musical portion of the entire event for us. They have such a large and varied musical catalogue that they played perfect music at each phase of the event. I would definitely recommend them to others and would also use them again! Thanks so much for helping to make our wedding a dream come true! We were completely impressed with the International Stringsand received many compliments from guests. Very talented; many guests commented on how much they enjoyed their music. The trio was a wonderful addition to our special day! We hired the International Strings to play during our ceremony and cocktail hour. They were amazing! We had a small backyard/beach wedding and even our neighbours came over to comment on how wonderful the music was and how much they enjoyed listening to it as well. Very professional and easy to work with. I highly recommend hiring this group! We highly recommend International Strings. We knew we liked their music from the moment we heard them for the first time online. But we didn't realize that, in the days and weeks after our wedding, we would be hearing so many great compliments about the band and their music from our family and friends that were at our wedding. Yes, they are that good, and even better live than in youtube videos. If you're looking for a very professional, talented and engaging band for your event - look no further! Like all weddings, the day was completely hectic. During all the chaos before the walk down the aisle, the sweet, melodic sounds of International Strings could be heard throughout the venue. It was AWESOME!! Not only were they an amazingly talented group but in the oppressive heat of the day they were nothing but smiles and compliments for me and the groom. I would without a doubt recommend International Strings and have given them nothing buy rave reviews to the future brides that I know. Again, thank you Slava and group for making our day so special (and classy)!! International Strings did a fabulous job for our wedding. We had classical music for the ceremony and more jazz-based selections for the cocktail -- they played a wide repertoire and our guests loved them. They were even willing to learn a new arrangement of a song that my bridesmaid sang during the ceremony. We were extremely happy with International Strings, from booking through performance. Thank you!!!! The International Strings were the perfect touch for our wedding. They played at my ceremony as well as at the reception. They did not miss a note. Their precision on their instruments brought tears to peoples eyes while I walked down the aisle. They were also the perfect touch to the cocktail hour at our reception. Everyone commented on how talented they were. I am so glad that I went with having them perform at my wedding and reception. It truly added a touch of class to the event. Many of the guests at our wedding remarked on how wonderful International Strings was. Even the caterers, who have surely heard plenty. I handed some business cards from Inernational Strings to the caterers, who plan to recommend them to others. They made our wedding special! Dear Slava, I want to thank you very much for your wonderful music last night. My husband, who is a true judge of good music was more than pleased with your playing! I also appreciate your follow-through, timeliness, and adapting the sound to the size of the room and the crowd. Should the occasion arise in the future, I would be happy to have you again, along with your fellow musicians in the trio! Great job all around! The trio made the process so easy and their performance was spot on! They played just what we asked for and nailed it! They accommodated our request for gypsy jazz, classical, and modern music with no problem and offered good suggestions as well. We received many compliments on the music. Thanks again! I had the greatest experience working with International Strings for our wedding; they're amazing, talented, professional & so easy to work with - even though they were hired with only 2 weeks notice! They even seamlessly handled a special saxophone request for us with such style that I honestly was blown away. We've received so many compliments from our guests, & even our wedding coordinator (w/12 years of experience) was impressed enough to pull me from our photo session just to see & hear how fantastic they were. We truly and HIGHLY RECOMMEND THEM for all performance types. If we could get married again just to hear them play, we would do it in a heart beat!! They were fantastic! I had them come play privately for a surprise dinner where I proposed to my girlfriend and they were above and beyond my expectations. Not only did they play beautifully, they also showed up exactly when I asked them to in order to surprise her and were willing to take any requests we had during the dinner performance. I'd recommend them in a heartbeat. They were absolutely perfect for our wedding and I was completely happy. Slava was wonderful to communicate with and was right on track with what I had requested for our event! The whole trio is amazingly talented, fun, have great instincts, and made our wedding a success! Thank you so much guys! I am very pleased with the Int'l Strings. They were on time, sounded wonderful and did as I asked. I couldn't be happier. Thanks for letting me review International Strings. I had 4 requests for songs and they met my expectations for performing them all. I was so busy as the groom that for the reception part I was not paying a lot of attention to the music so I decided to survey my guests and they thought that the Trio and vocalist did a wonderful job! International Strings were wonderful. My husband and I could not have been more pleased with their music and their professionalism. We highly recommend them. We only wished we had them to play longer at our wedding they were so great! The Trio was extremely timely, professional, and entertaining. Their repertoire is broad and our guests loved them. They even let me play a couple of jazz standards with the group. Thanks for helping with our wedding. The International Strings played for our wedding in August. They were a pleasure to work with! It was great to be able to communicate with them prior to the wedding and include our special requests. They played so nicely and I am so happy that they made such a great contribution to our wedding! We hired International Strings to play at the ceremony and cocktail hour of our wedding. It was an utter pleasure working with the band from the moment we contacted them. Very responsive and accommodating, International Strings was able to learn/arrange and play a song that was not in their repertoire. Aside from their beautiful sound (we've been receiving rave reviews from guests), the band's professionalism left us completely confident that everything on the music side of the wedding was under control. Other than briefly touching base with the musicians upon their arrival, they were completely self sufficient and did an all around fantastic worry-free job. Thanks!! International Strings did a wonderful job at my wedding cocktail reception. I have a classical music background and so I have very high standards for musicians and I could not have selected a better group. We also received rave reviews from our guests for their music. They were the perfect touch to the perfect day and I highly recommend them to anyone. International Strings did an excellent job. I needed a band that could play some typical ceremony music (Canon in D, Wedding March, etc.) and then seamlessly move to a jazz band for the reception. I was particularly concerned that the jazz portion not sound like elevator music with easy listening versions of "yesterday" or Bon Jovi. International Strings were spot on. Very classy three piece sting for the ceremony turned into a 5 piece jazz band that everybody raved about. I hired International Strings for my wedding ceremony and they were great! I highly recommend them. I couldn't be happier with International Strings. They were easy to communicate with, affordable and talented. My guests were very impressed with the music and all around performance. I had a special request that was easily accommodated. They were also very respectful during the wedding ceremony. The music you and your trio played at our daughter's wedding ceremony and cocktail hour was perfect for each occasion. The renditions of each piece at the ceremony were delightful and enhanced the warm, loving atmosphere of the room. The repertoire of cocktail hour songs provided lovely background music by which people could indulge themselves in food, drink, conversation and merriment. We appreciate your contribution to our daughter's wedding. International Strings was very professional, asked all pertinent questions up front so there were no surprises, and most importantly provided wonderful music for our ceremony and reception. They even played a couple of requests for a last minute decision to have a few dances. I highly recommend International Strings for your event. They were fantasic! They arrived early, were flexible and on top of all that- musically they were outstanding!!! They really got a sense of the crowd and even took a request! They made our event better, and we hope to use them again in the future. They did a wonderful job at our wedding at the Oviatt Penthouse. Extremely professional, punctual, relaxed and accomplished. We couldn't have asked for better entertainment. Very professional. Quite talented with an endless songlist. Slava saw to every detail personally. Many thanks. The Trio was superb. We couldn't have asked for a more professional and talented group of musicians. They performed during our ceremony and reception and the entire party was amazed at their ability to play classical and rock selections with style and enthusiasm. We are extremely happy and grateful that they were available for our special day. They were so accommodating! Just for the event, they learned a song written by my brother in law as a wedding march. They were also very flexible in terms of time and all the guests said that they loved the music!